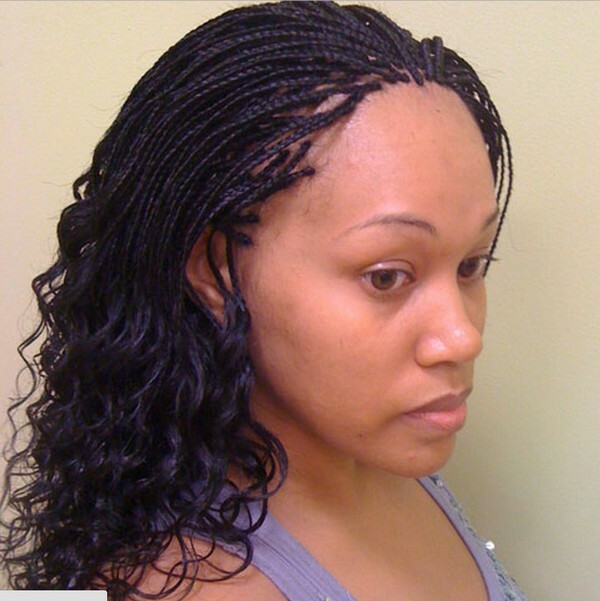 Micro braids are the type of braids which are tiny and delicate. 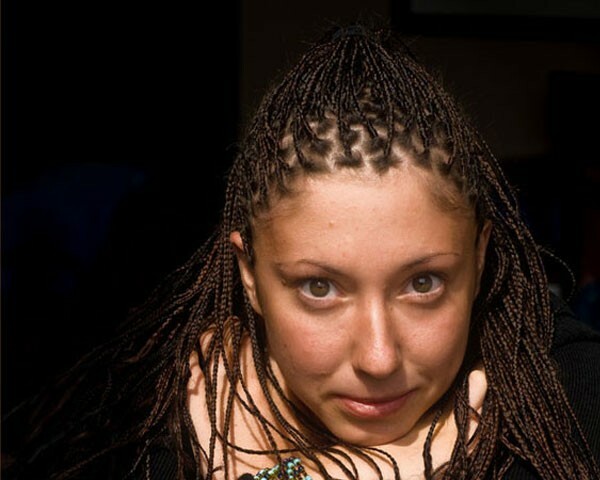 It is braided tightly into the hair and it can last for many months. 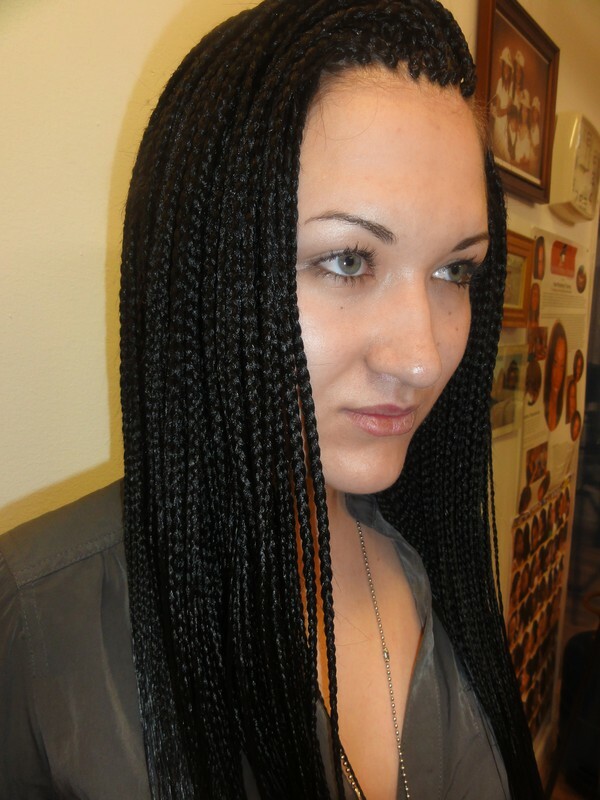 This type of hairstyles can usually be seen on African American women. However, it can also be done on any type of style. 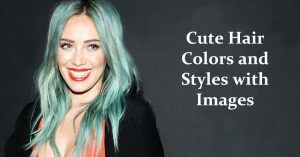 This trend is embraced by most celebrities including Beyonce, Zoe Kravitz, and others. 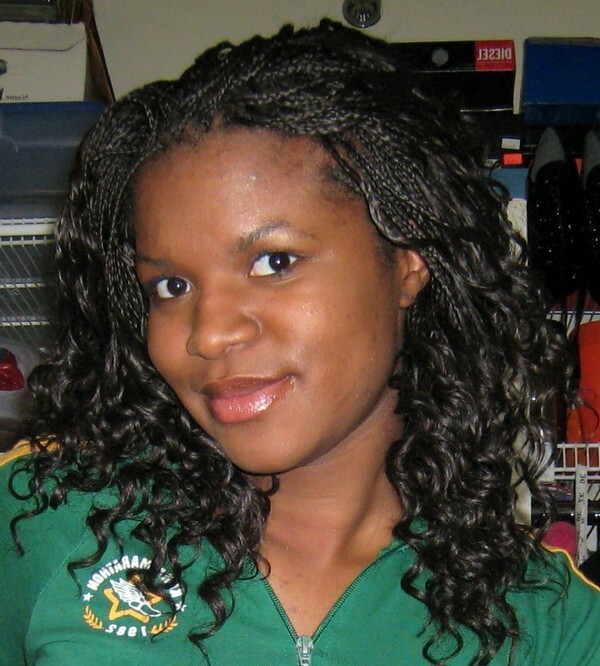 What to Consider Before Getting Micro Braids? 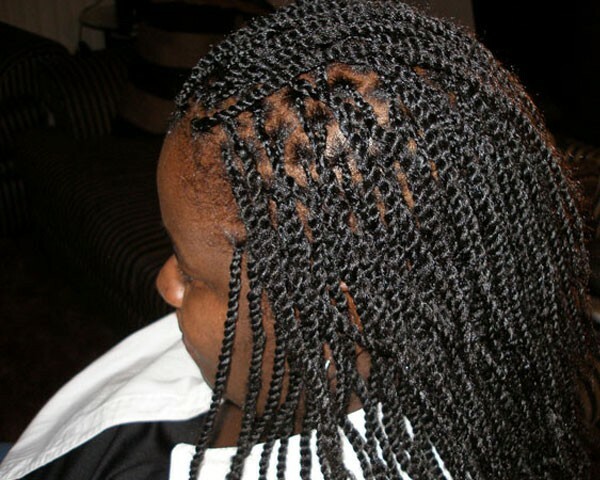 Micro braids may not be suitable for all women. 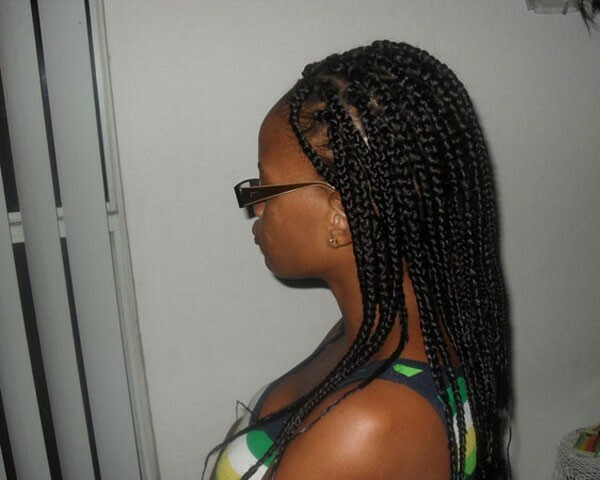 A lot of people choose this type of braids since it only needs less maintenance. 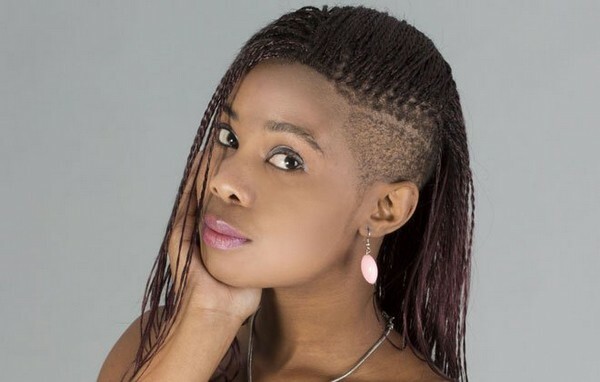 It is very important that you are well prepared in rocking this hairstyle for a long time. 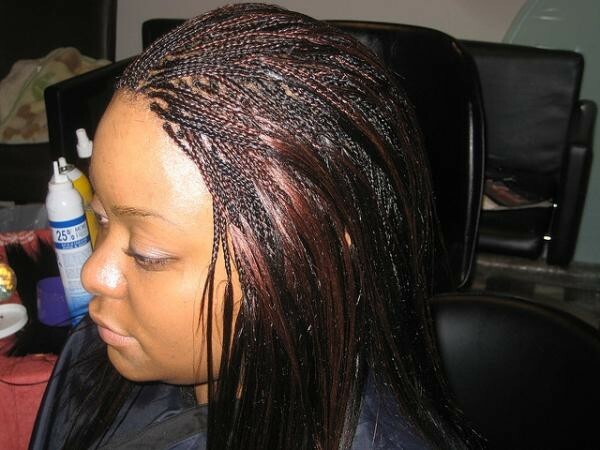 The process of creating micro braids can take long hours. 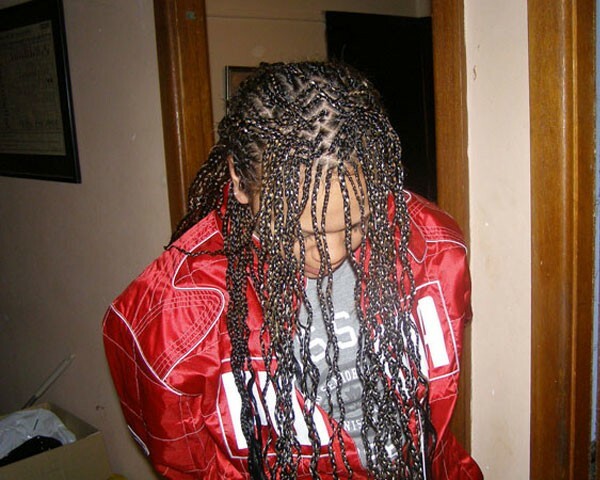 At the same time, removing the braids can also take several hours. 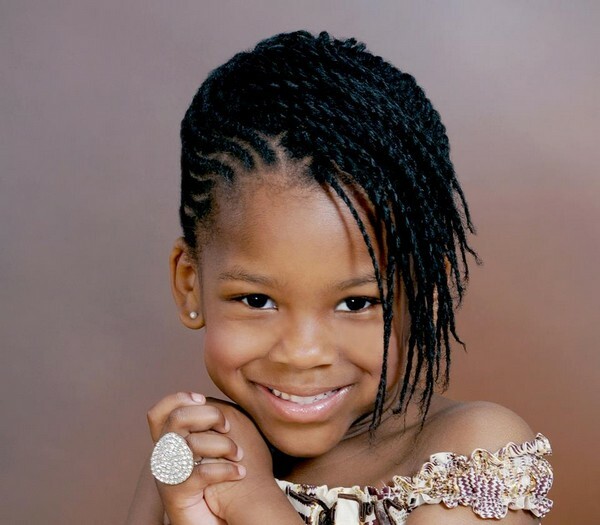 Since is it very small braids then there is a tendency that it can cause hair breakage and hair damage. 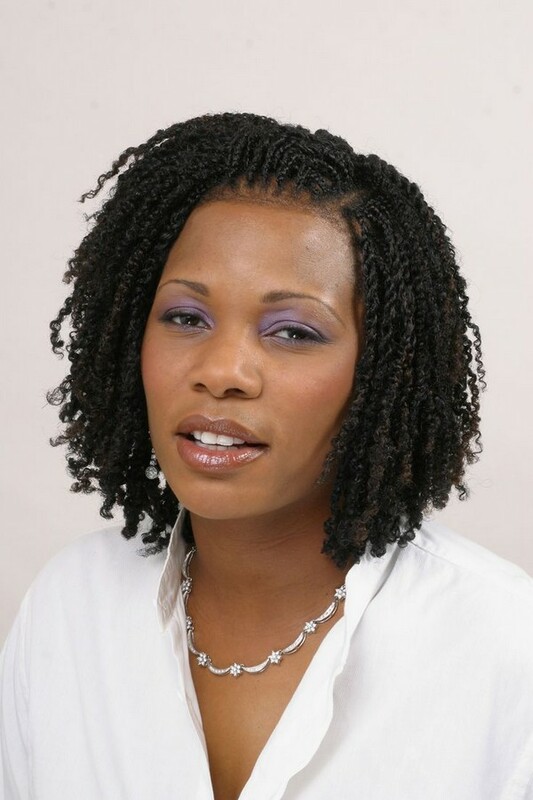 Sometimes it can lead to hair loss if your hair is dry and brittle especially in the process of removing the braids. 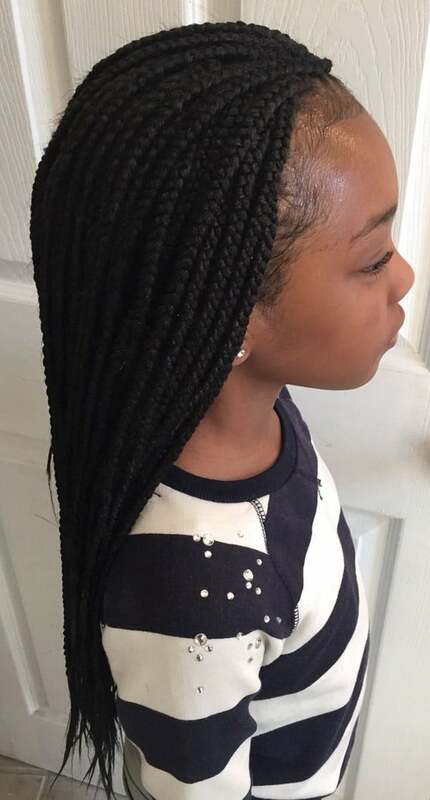 If you are interested in rocking micro braids then you must look for a professional hairstylist who is an expert in this hairstyle. 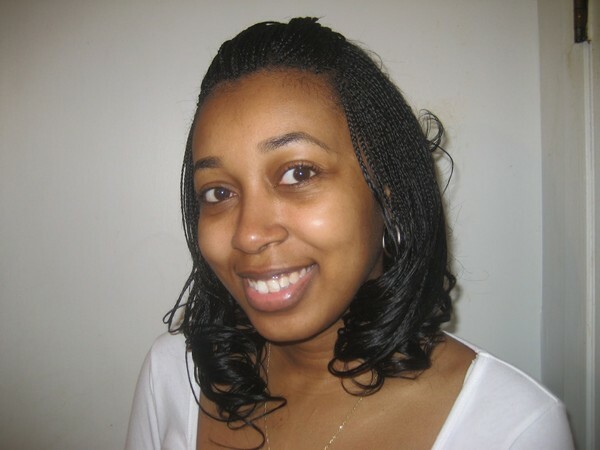 African American women should find a stylist who specializes in black hair. Consult a stylist who will evaluate your hair. Be sure that you have a properly conditioned hair. 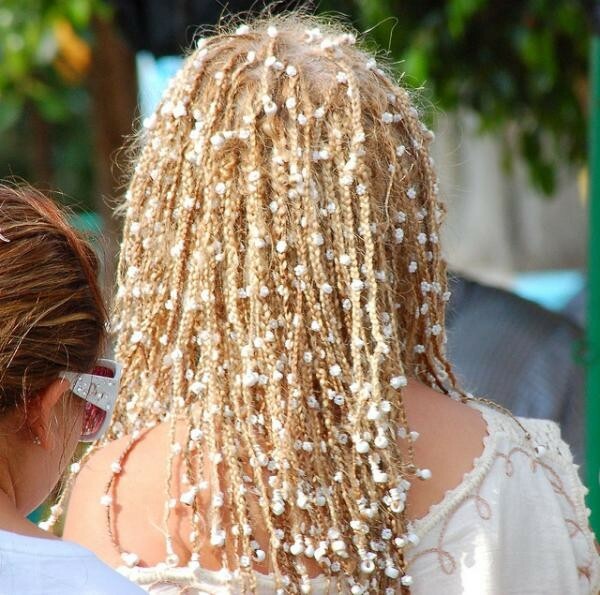 The stylist will advise you on how long the process will take. Do you have a frizzy hair? Do you want to have a cool, stylish and sleek look? If so, then why don’t you try rocking micro braids. This modern and fascinating hairstyle can bring out the unique features of your face. It can completely change your hairstyle. There are several styles that you can opt for. Here are 72 fabulous hairstyle ideas that you can try out. Enjoy! To emphasize your eyes and lips, you can go for middle parting. Embrace your kid’s curly hair and transform it to make it more fashionable. 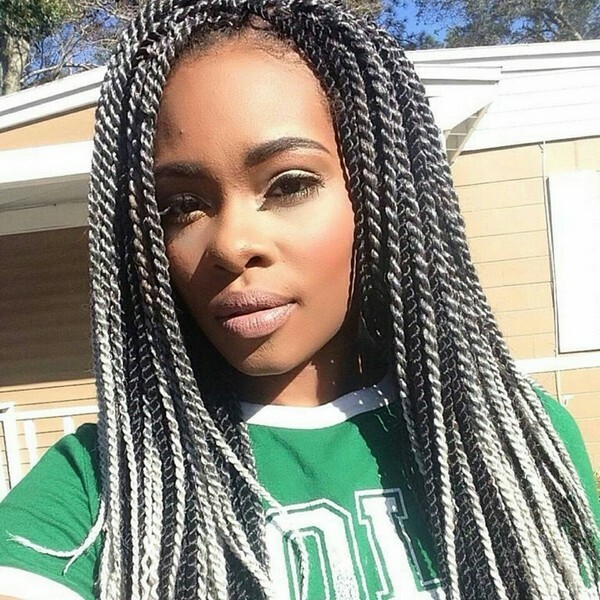 Micro braids can look amazing, especially for women with long hair. 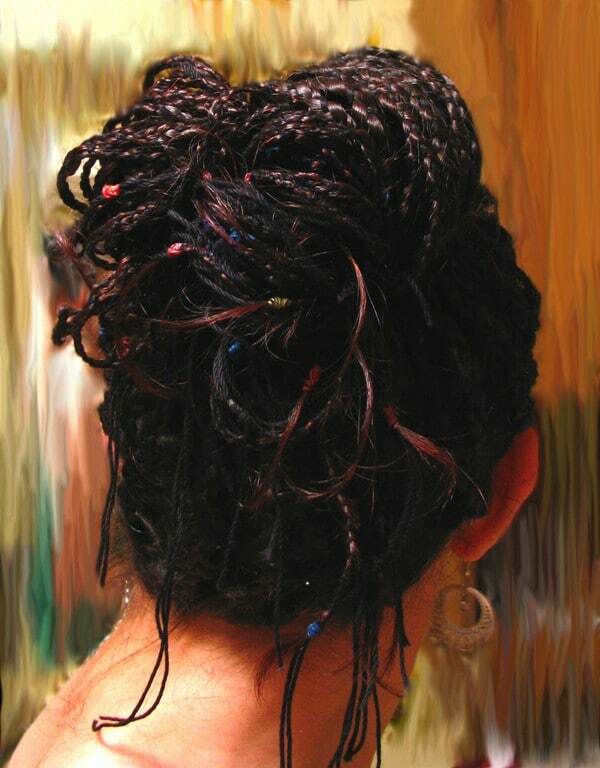 Add highlights to your braids to make you stand out in a crowd. 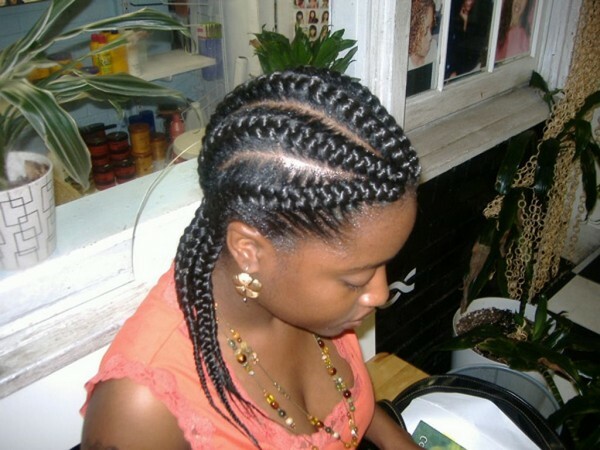 This is an impressive braid hairstyles ideas for black women. 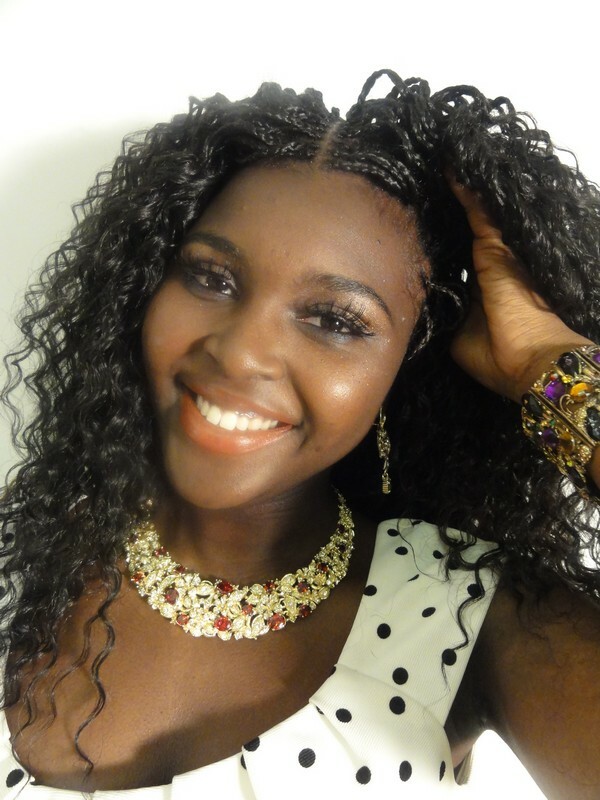 This is absolutely a fabulous way of wearing micro braids! 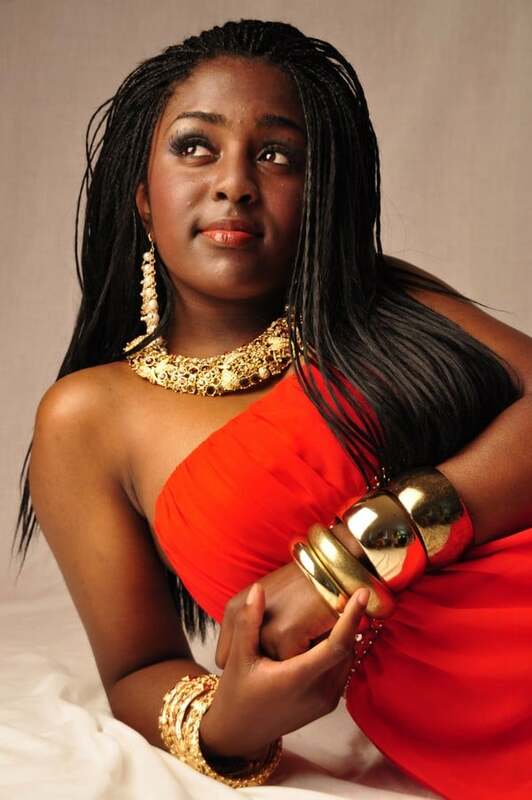 To preserve the beauty and health of your natural hair, you can use hair extensions. 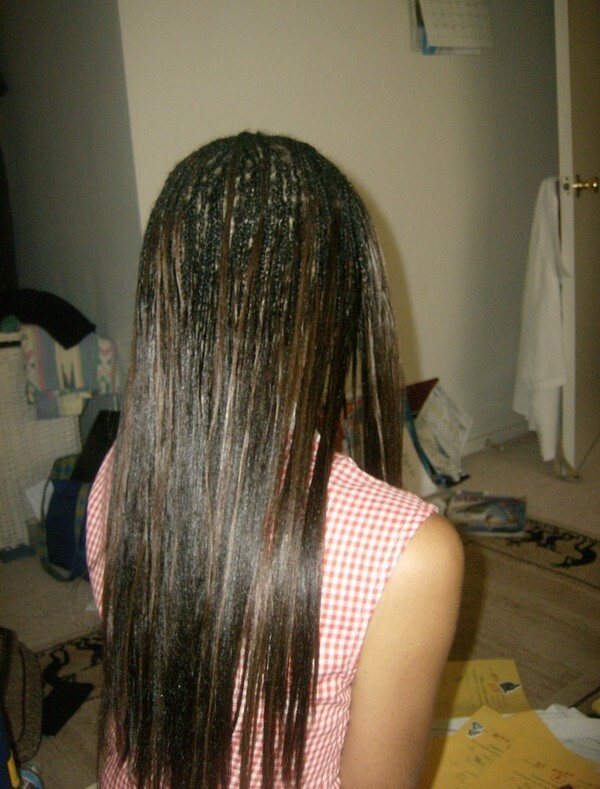 Hair extensions can make your hair look longer and fuller when creating micro braids. Never hesitate to use it! 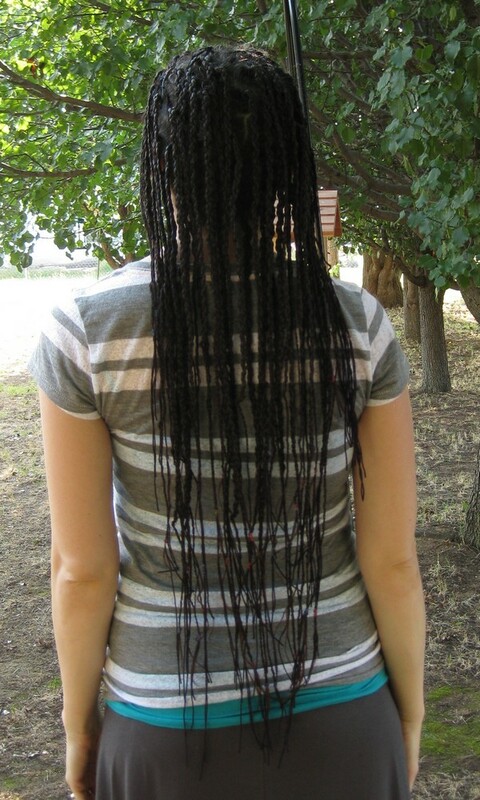 Micro braids are tinier compared to box braids. 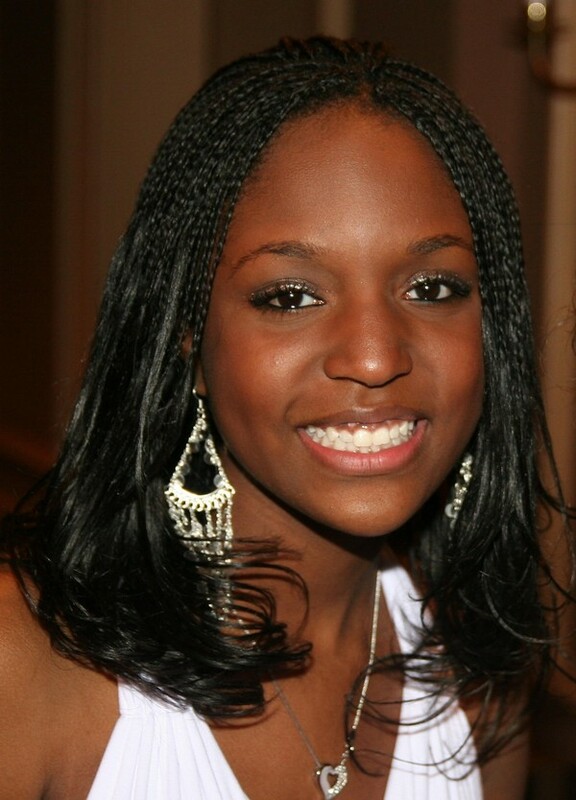 Micro braids can make your hair compact and easier to style. 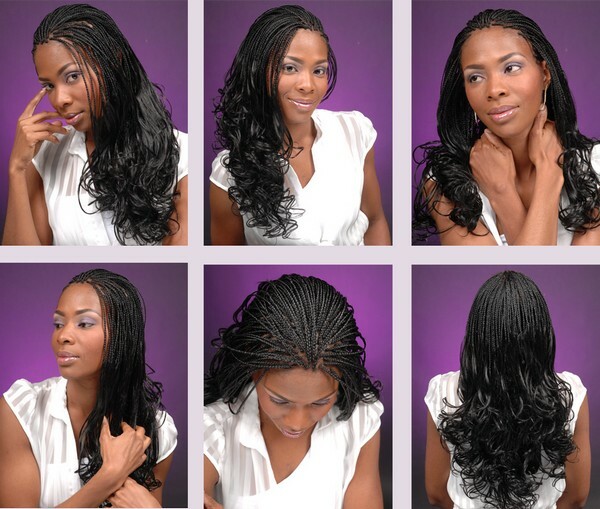 There are a variety of hairstyles that you can do with micro braids. 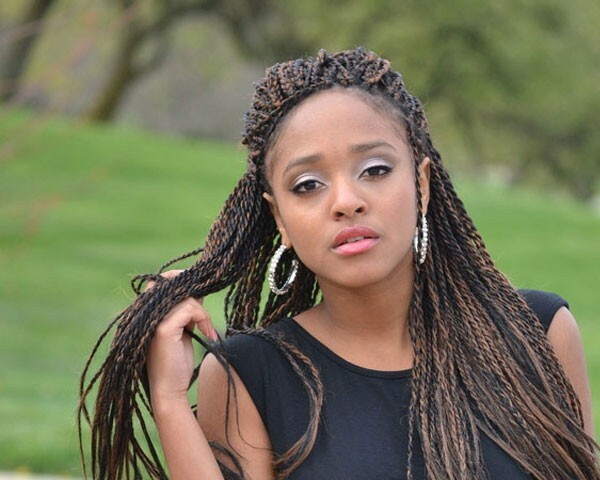 Choose the coolest style for your micro braids. 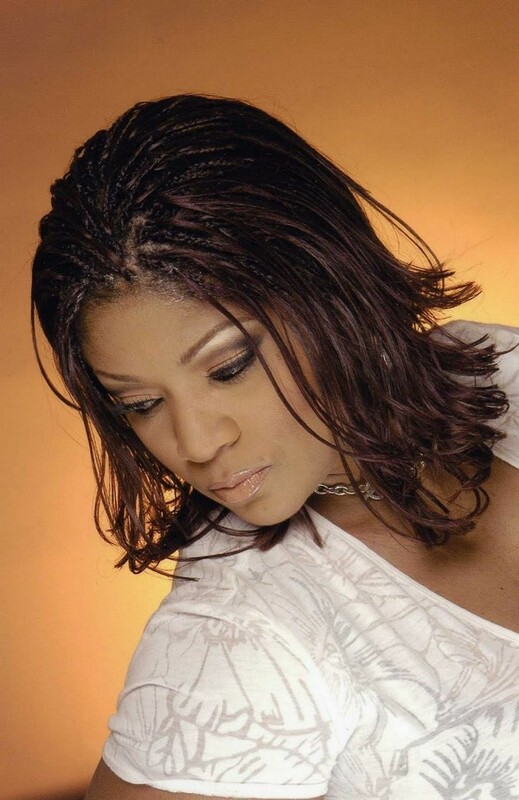 Long hair strands are perfect for women who have prominent faces. You can also opt for an effortless style such as this one. 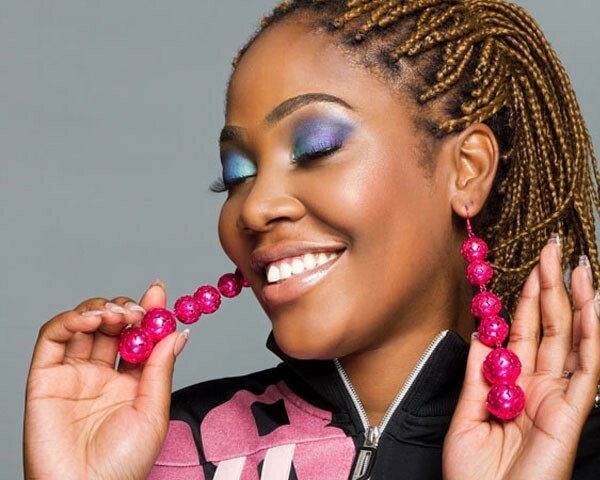 For women with oval faces, let your braids flow down. 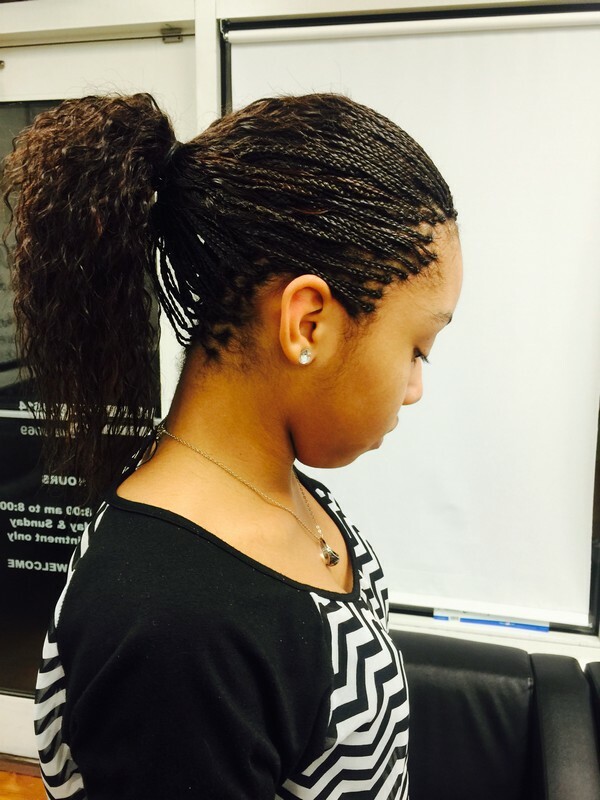 These sleek micro braids are neatly done. Are you in the mood for a voluminous bun? This hairstyle does not require any planning. 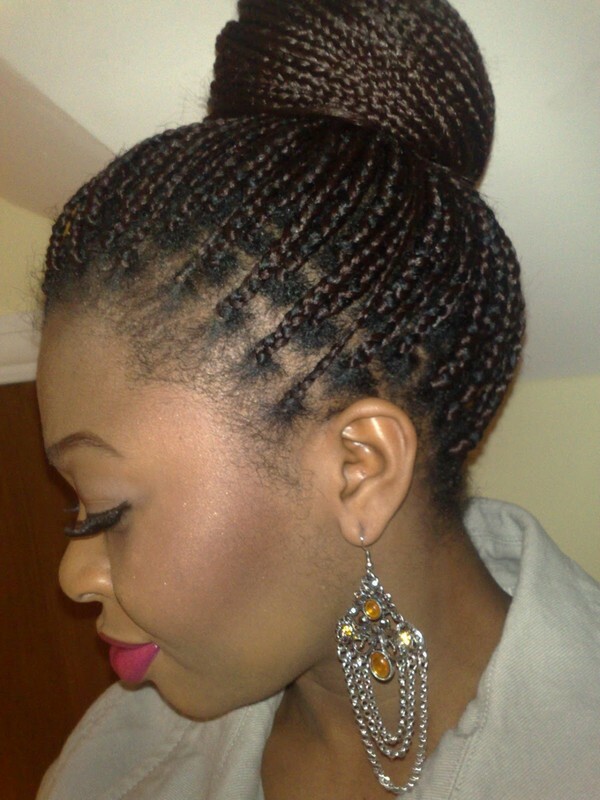 Rather than using classic buns, why don’t you try this bow bun made of micro braids? 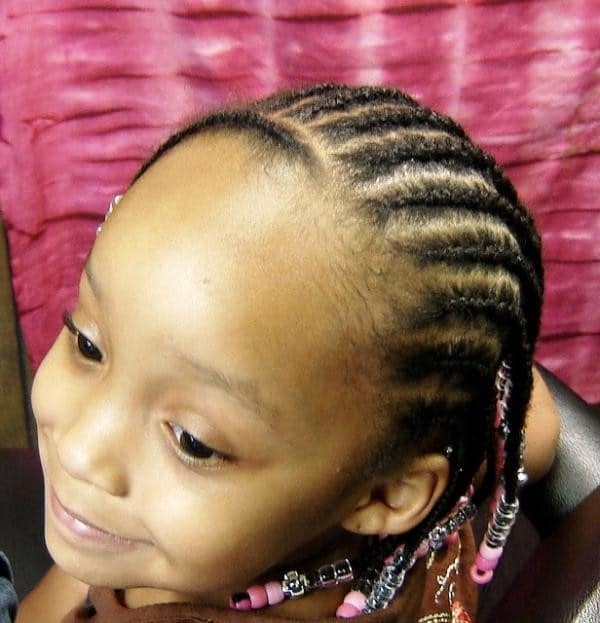 Micro braids can also look great on kids. This look is ideal for a night out with your friends. 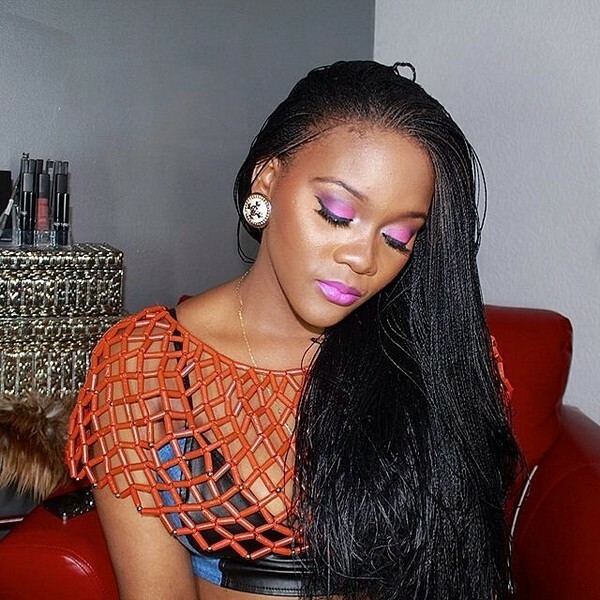 When colored braids are done flawlessly, you can wear it anytime of the year. 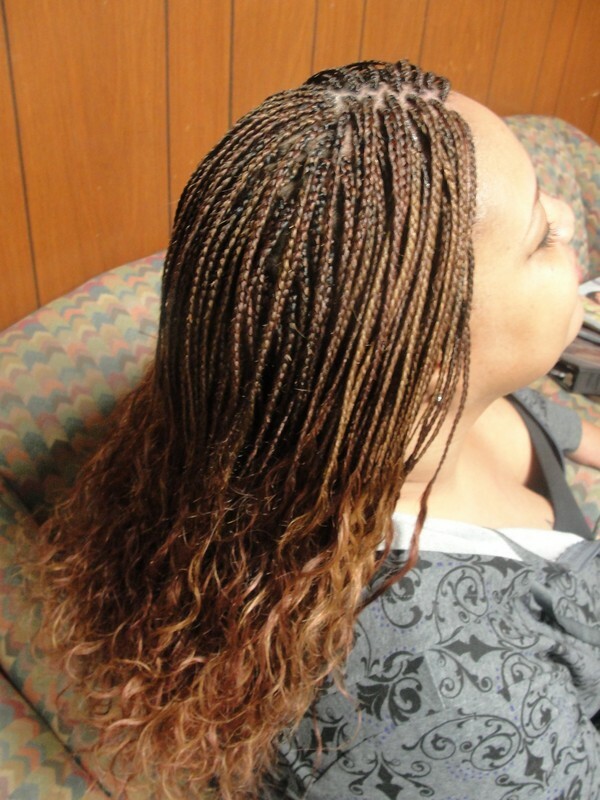 These sparkling micro braids look nice on blonde hair. This is chic and sophisticated. 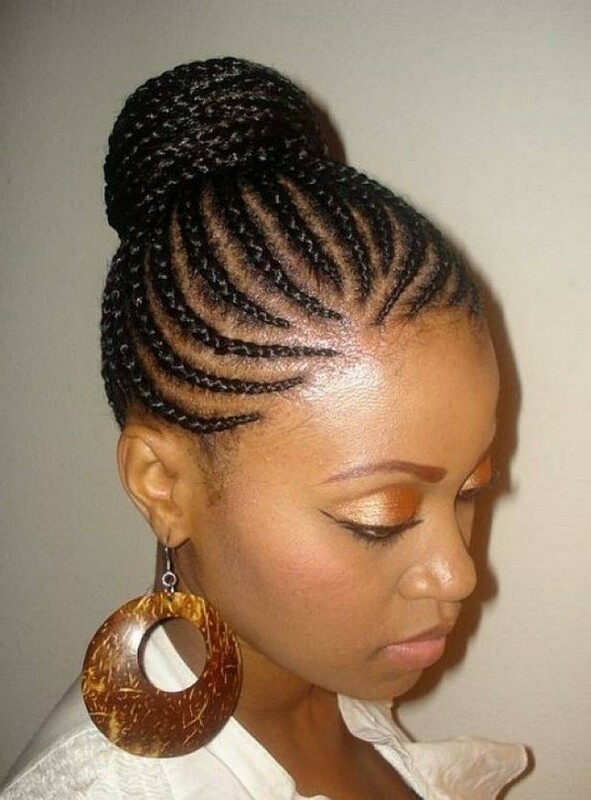 These cornrow micro braids with highlights are tied into a bun. 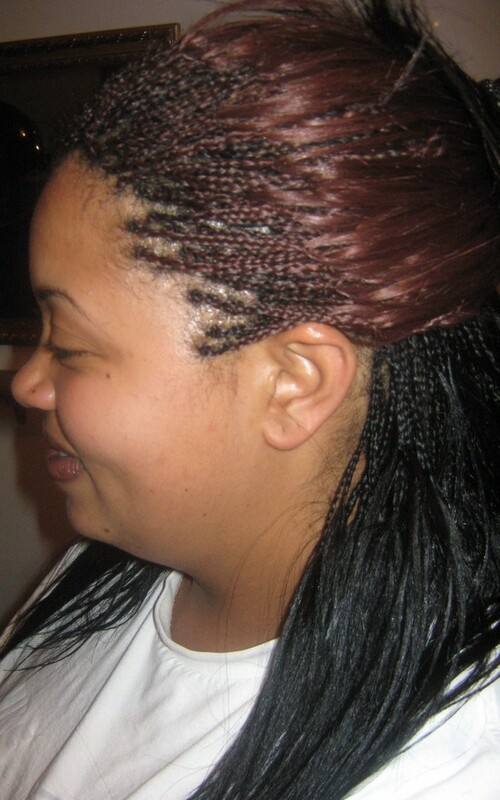 Micro braids are typically meant for women with really long hair. 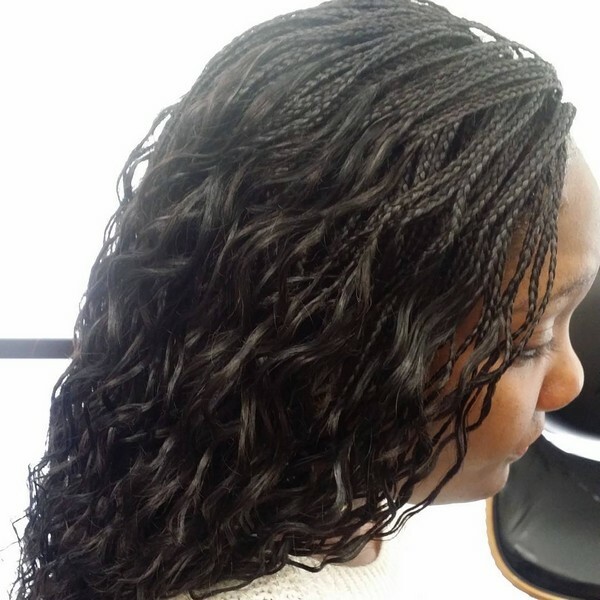 Natural black hair with highlights looks majestic, particularly in micro braids. 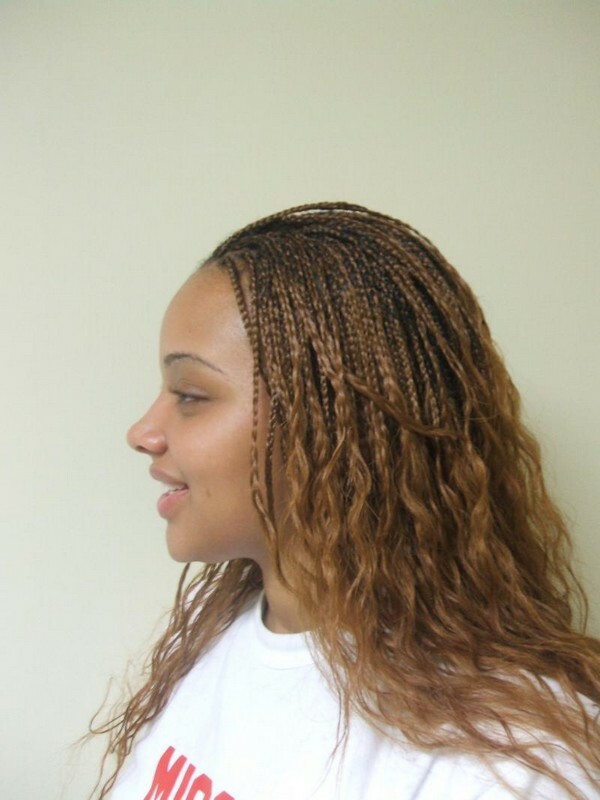 Micro braids look best when done on long hair. This polished and silky look is perfect for women who are ready for an adventure. 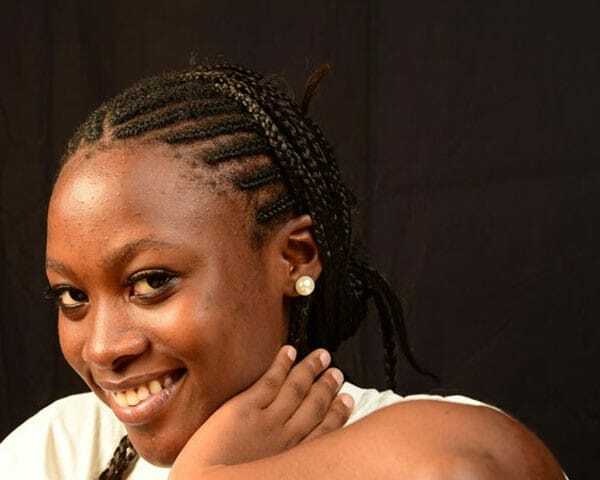 Side parting your braids can give it an extraordinary wow effect. 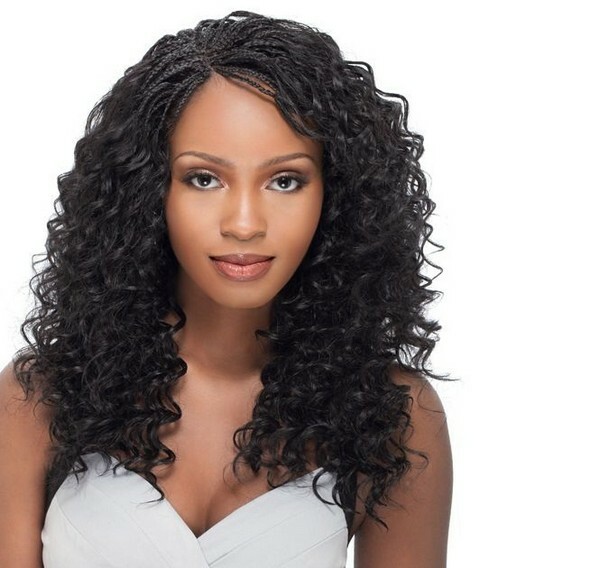 These micro braids with curls can definitely make a statement. Want to look stunning for the evening? Then let’s lift those braids on your crown. Are you having another ordinary boring day? Then let’s make it playful with this extraordinary hairstyle. 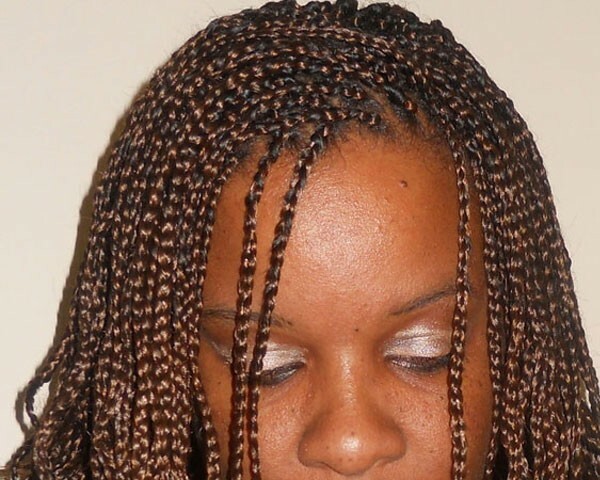 Micro braids hairstyles are also great for weddings. 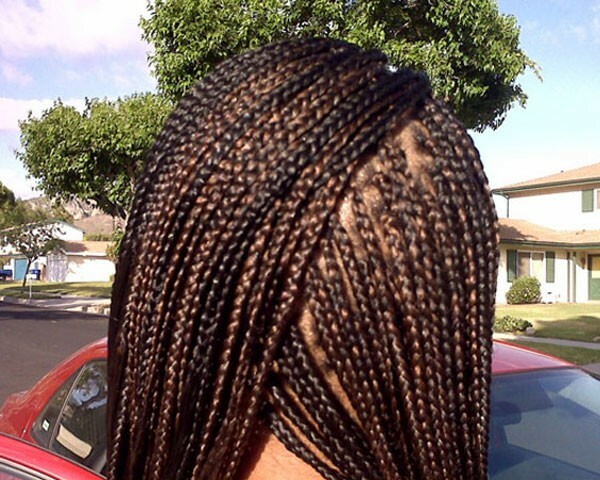 These cool and short micro braids are arranged randomly. 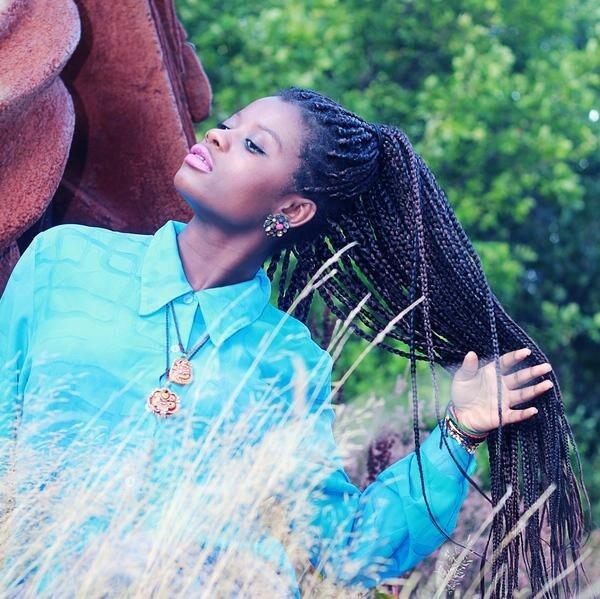 These classic braids look so lively and cheeky. 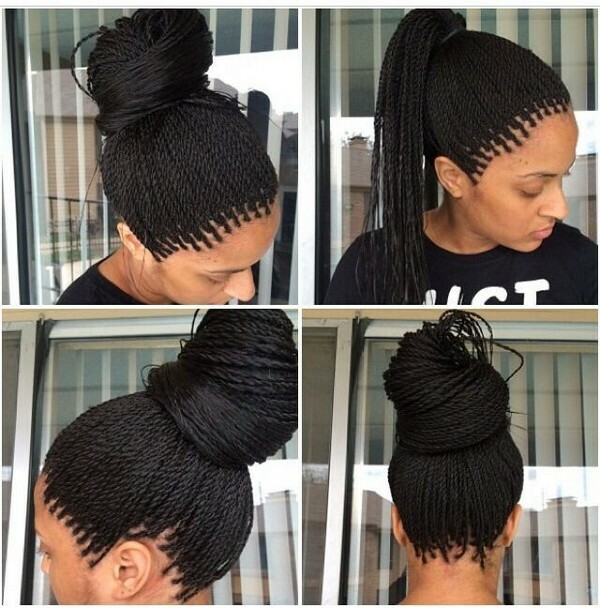 Let your braids transform you into an elegant woman. 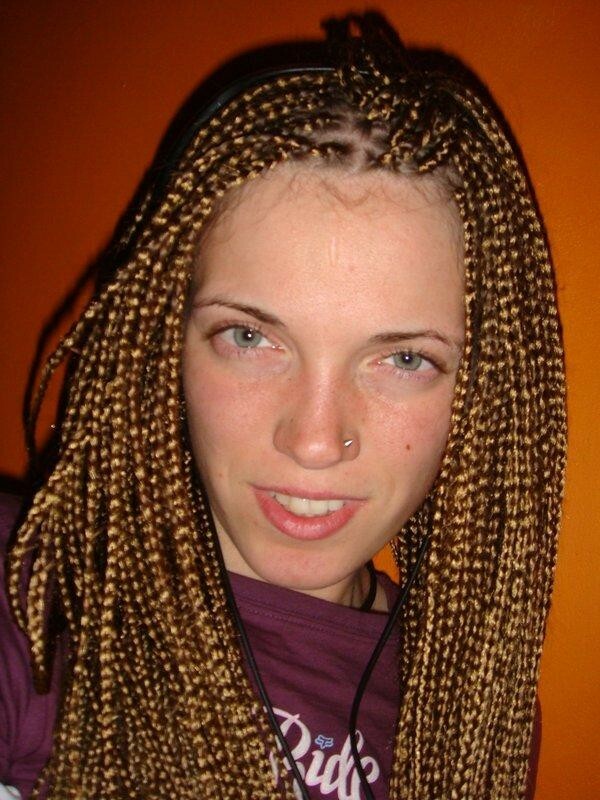 These braids can certainly draw some attention. The result of this combination is so flattering. 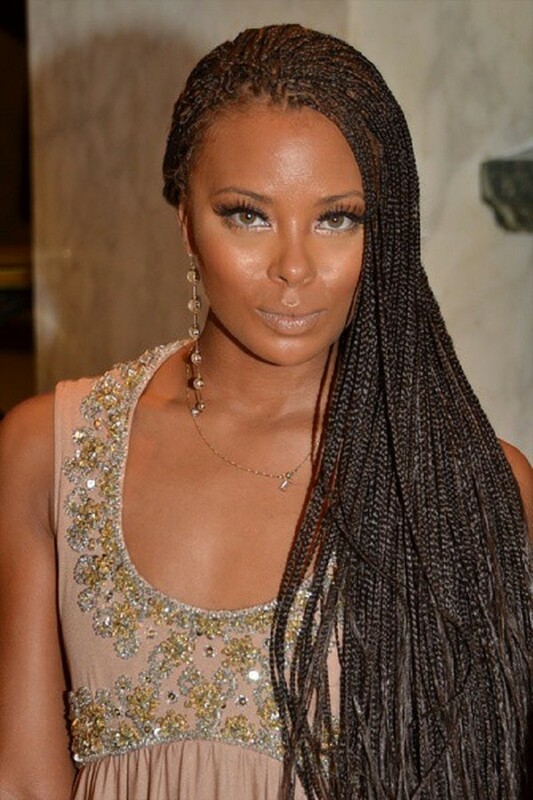 Piling up all those braids on one side is a great complement to your refreshing look. 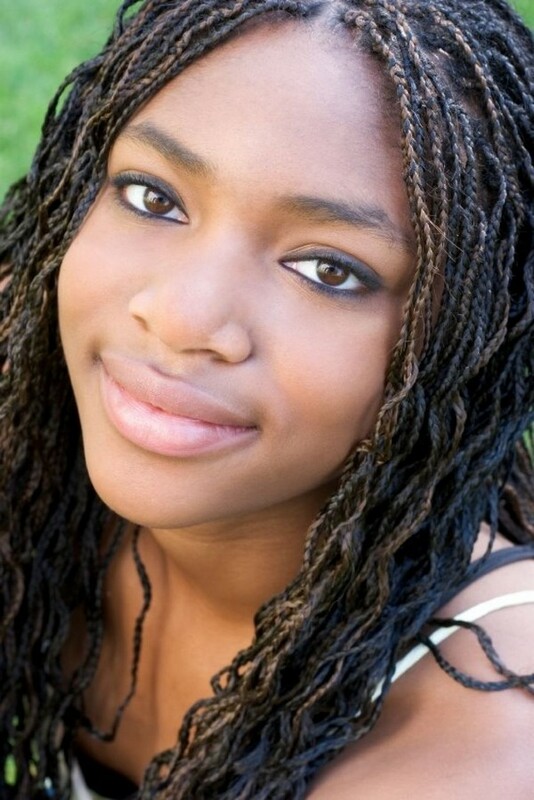 Classic micro braids are perfect for teens. 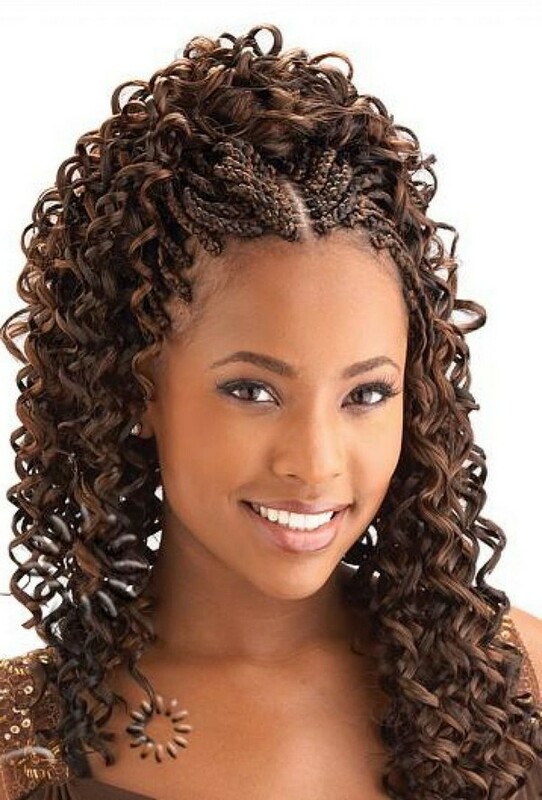 This amazing hairstyle is suitable for any occasion. Most African American women have nice curls. Side parting can make you look awesome. This hairstyle is perfect for everyday looks. Silvery blue eyes and pink trinkets are the best for your golden braids. 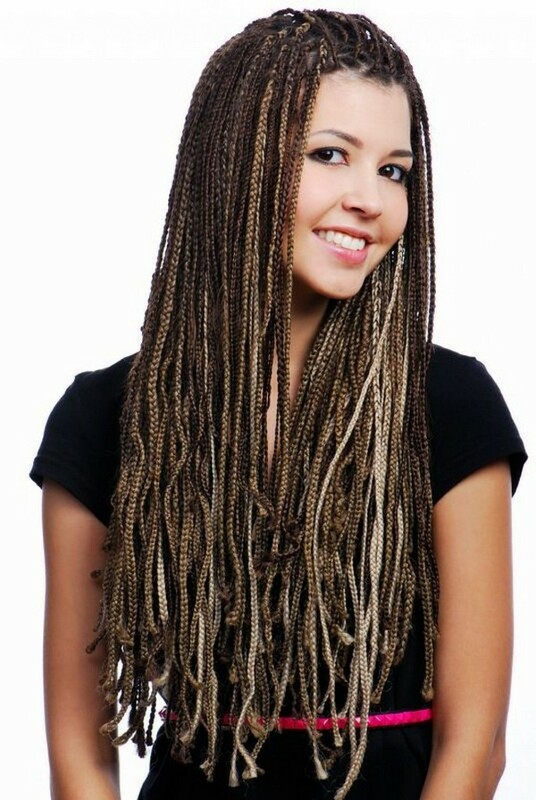 Thinner braids look more sophisticated. 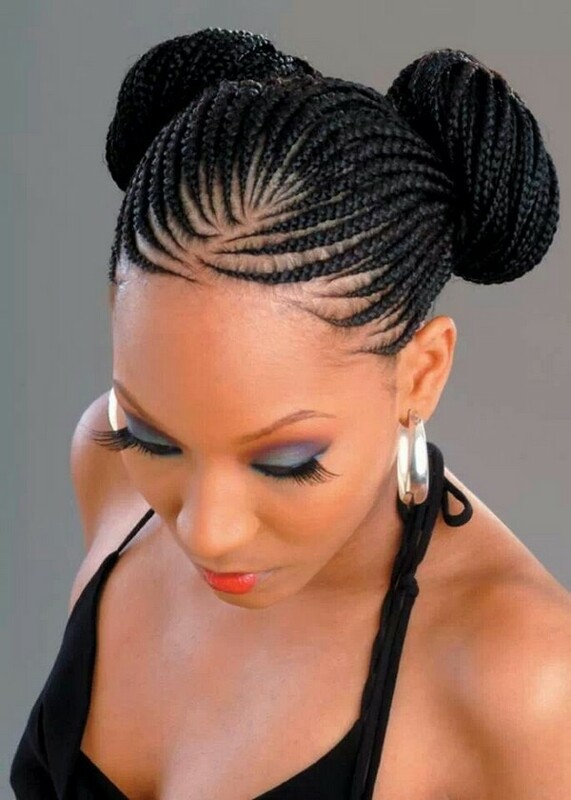 Let your braids run loose and it can surely turn some heads around. This stunning combination can make your hairstyle look unique and sleek. Is it time to change your hairstyle? This ballerina bun will not be going anywhere. Redefining your style can give you an extra edge. This style is also perfect for parties. 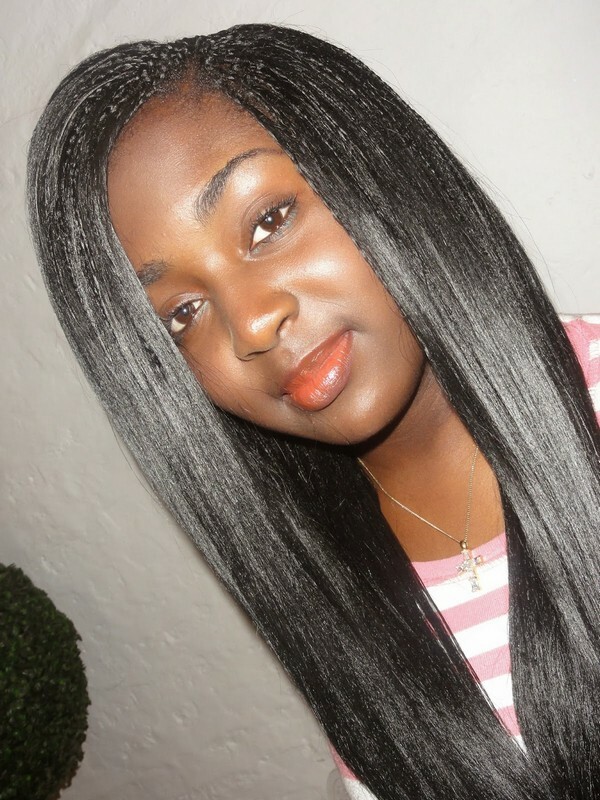 You can use extensions in maximizing the length of your hair. You don’t need to do anything else. That extra length will be sufficient enough to draw people’s attention. 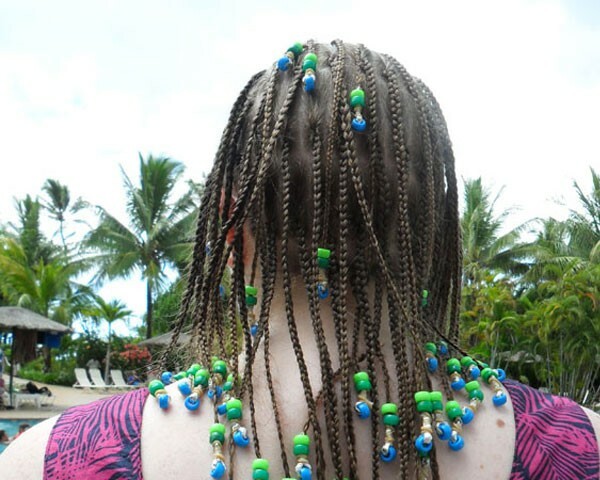 Let those braids fall down freely on your neck. 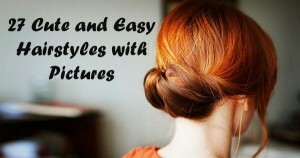 Braid your hair in an elegant way to make you stand out. Be sure to keep that micro braid tight. Buns can always look delightful in any season. Buns can make you look taller and absolutely gorgeous. This is much too easy to style. 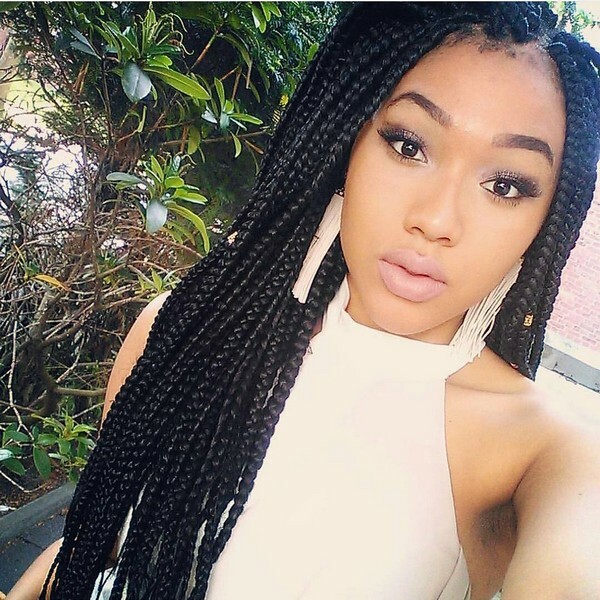 These braids are totally amazing! 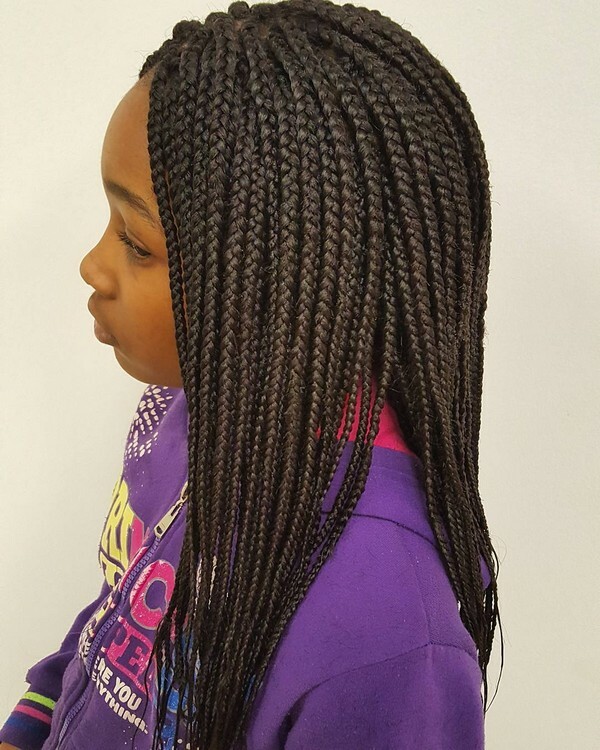 Kids can wear their micro braid anytime. 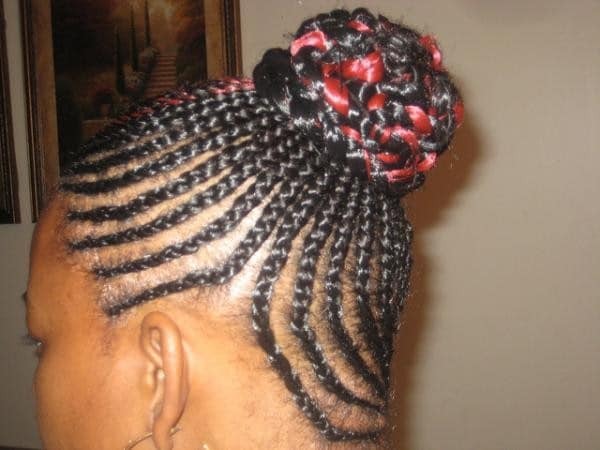 Even if you have short hair, you can still wear a micro braid. 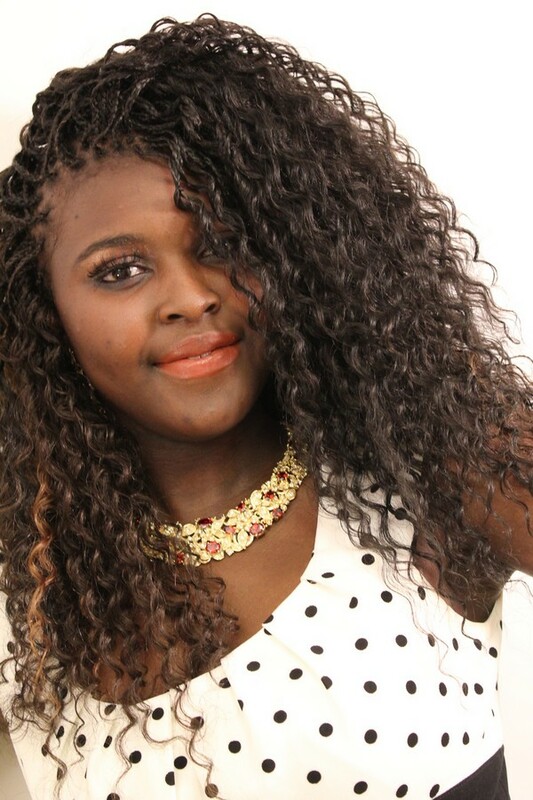 Curls and braids are a perfect combination for your new look. 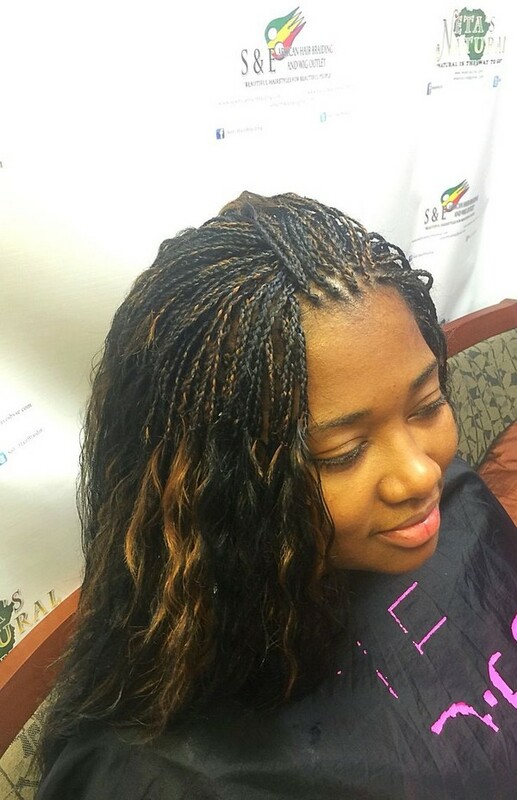 This meticulous micro braid looks stunning. 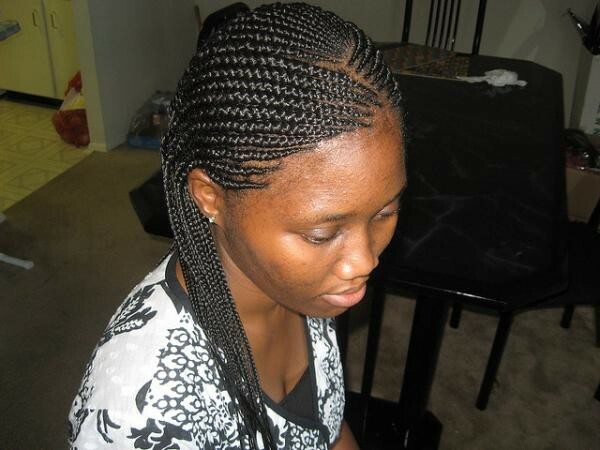 Create braids starting from your scalp to obtain a great style. Hair accessories can make you look unique. Adding color to your natural hair can be fun. It’s also a way of expressing your creativity. 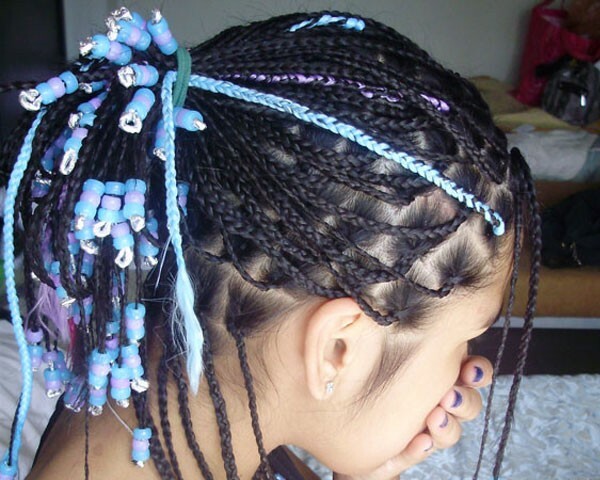 Use blue and green beads on the ends of the braids. You can also choose other colors depending on your taste. 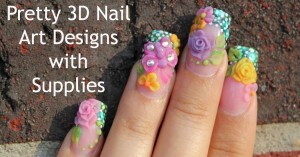 Aside from beads, you can also create your own adornments. 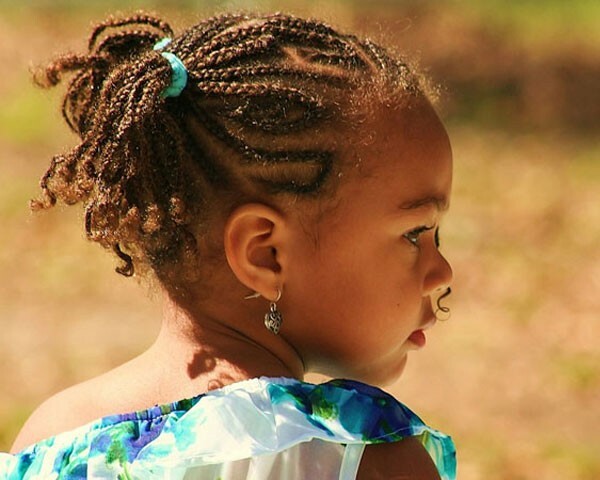 Braided ponytails can keep your little girl’s hair in place. Step 1. Use a comb in sectioning your hair. Get 1/4 of the hair and use a clip to secure the remaining hair. Step 2. 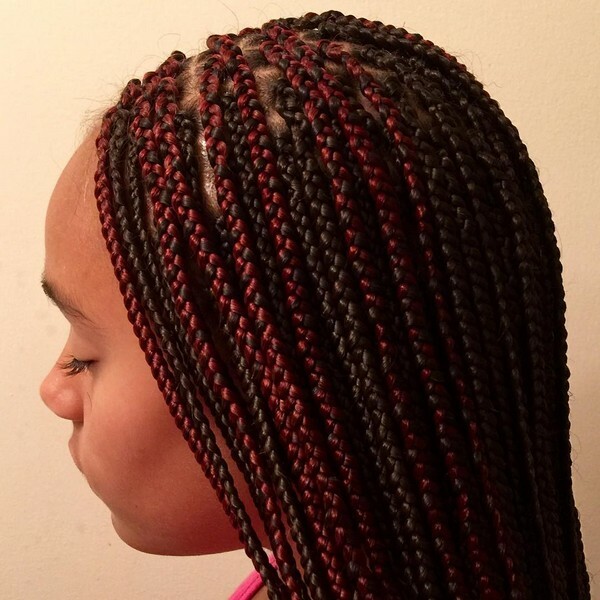 Get a tiny portion of the hair and start braiding. Divide the hair into three. Cross the hair from the left to the center. Cross the hair from the right to the center. Make it tight but not too tight since it can hurt the scalp. Step 3. 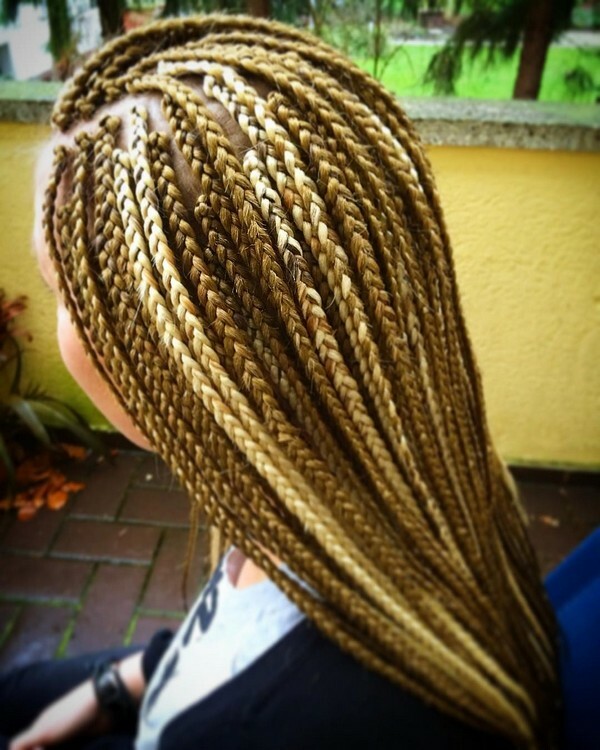 Continue braiding until you reach the end. Take a small strand of hair and use it to tie the ends. Step 4. Repeat this process until all the hair is braided. 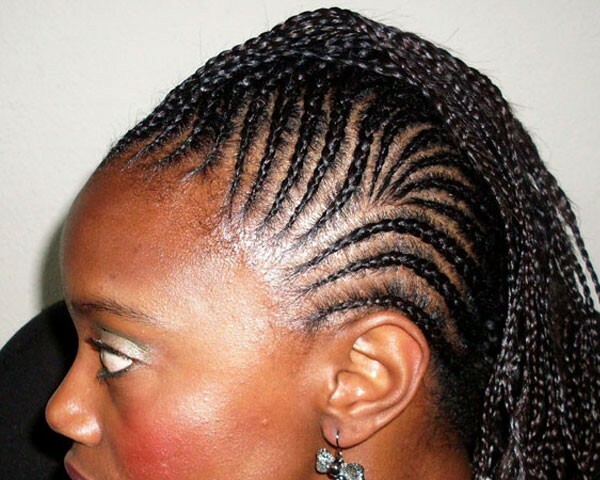 Cornrow Braids – This is the best micro braid hairstyle. It can suit everyone and you can style it easily. It has low maintenance and your hair won’t be exposed to too much damage. 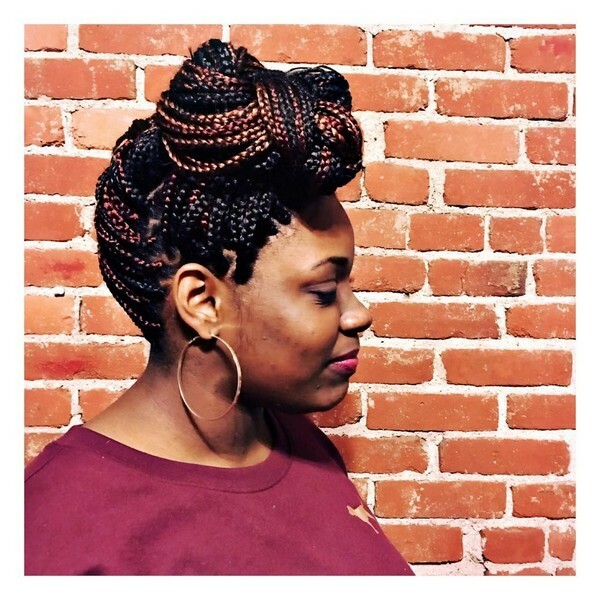 Braided Updo – This is one of the sophisticated braided hairstyles. It works with long hair and short hair. It can work on any face shapes and can be worn on any occasion. 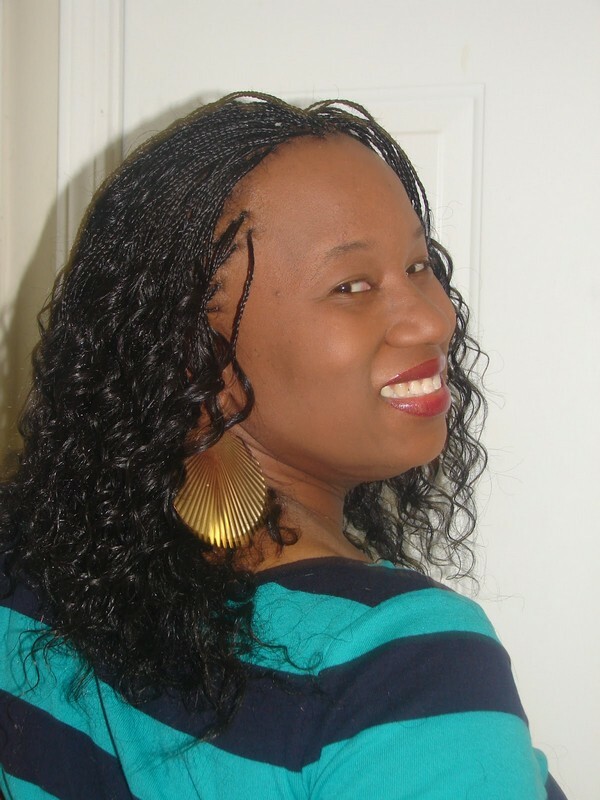 Wavy Braids – It can work on curly or straight hair. With curly hair, the result will be wet and wavy. 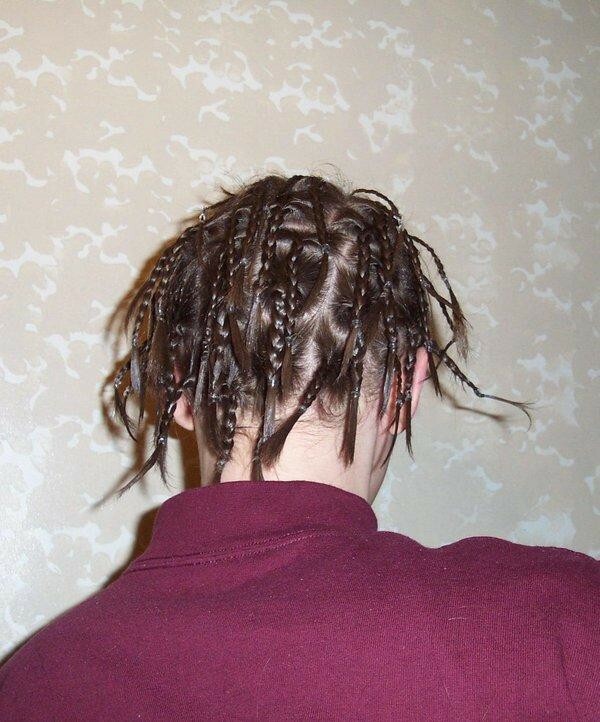 The braids will look charming. 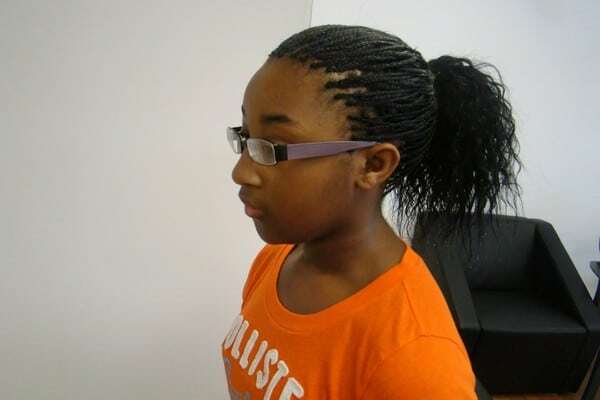 Micro Braids with Ponytail – It would look better when braided hair is pulled up to create a ponytail. You can either make a high ponytail or a low ponytail. 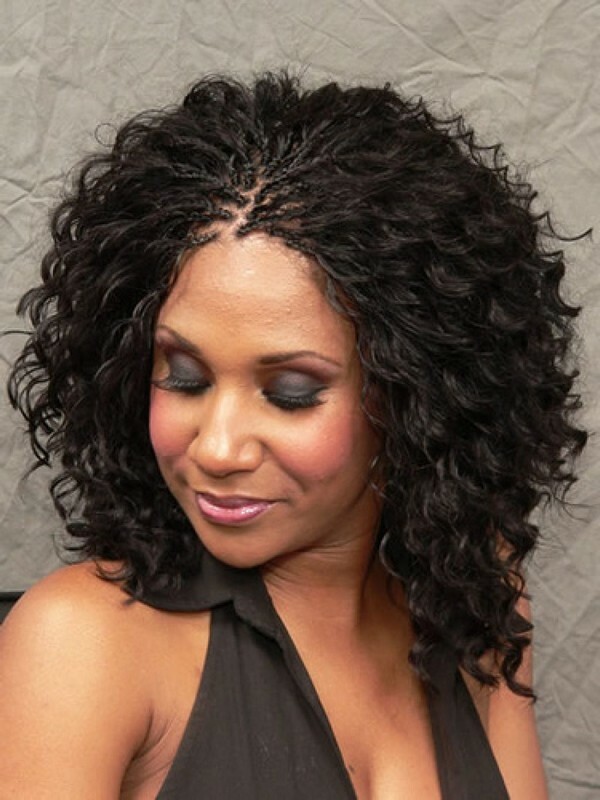 Micro Braids for African American Women – This hairstyle can look elegant on black women. It has less maintenance and it does not require too much pressure in styling. 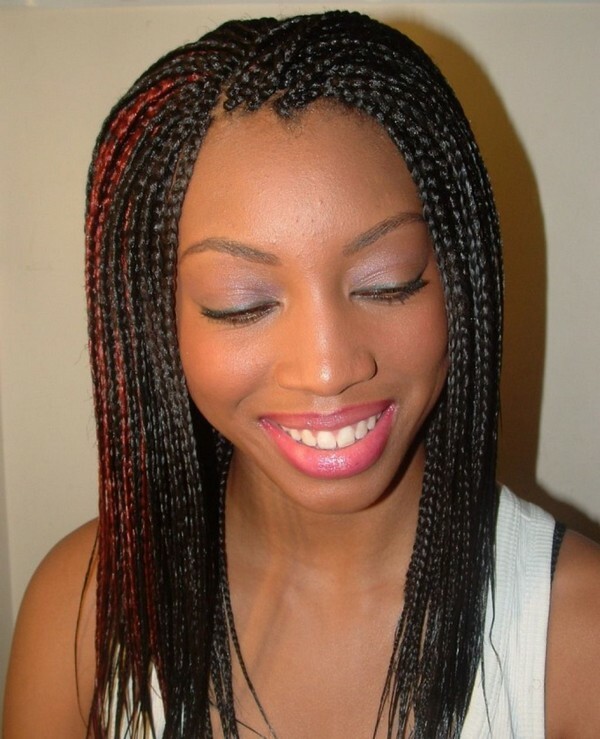 Braided hairstyles include micro braids, tree braids, box braids, french braids and a lot more. 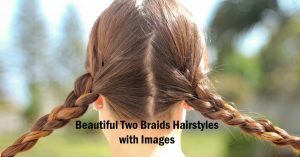 These braids hairstyles can be worn anytime, especially in the morning when you are running late for your workout.